A dry meadow green roof can easily be created. 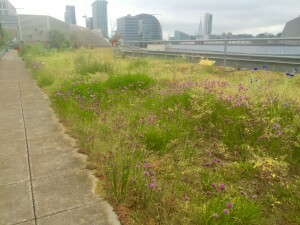 Existing simple sedum green roofs can be transformed into dry meadows with a little thought and design. 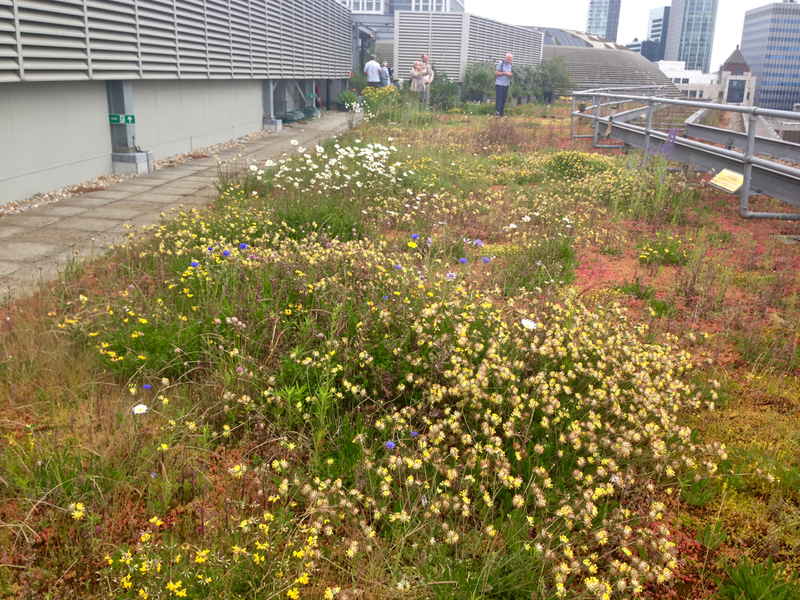 This is what the Green Infrastructure Consultancy help achieve on this sedum roof in the City of London. 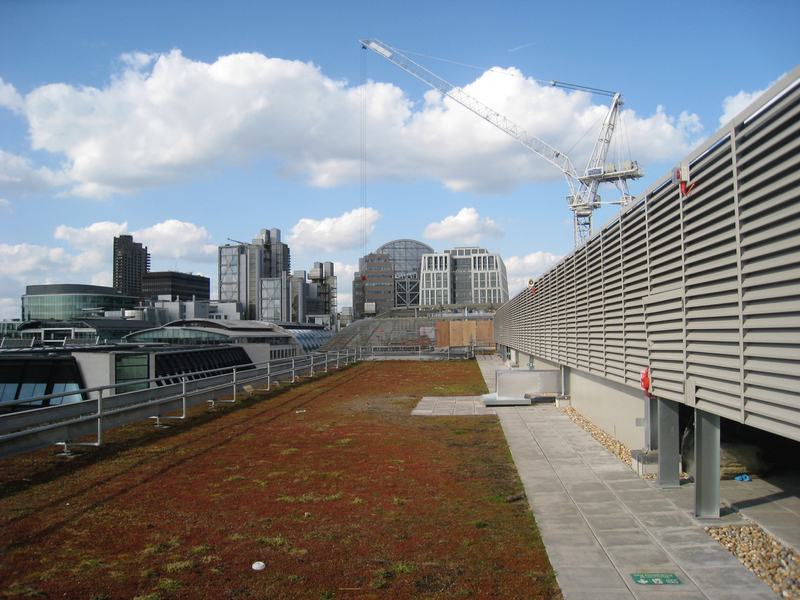 In 2008 GIC was asked to inspect a green roof on Eversheds Ltd in London. The visit was to assess how the roof was doing for biodiversity. As a simple sedum system, it would have some benefits for biodiversity. The benefits would be pretty limited. Furthermore the original specification was not really in keeping with design guidelines for London the GIC team had help to write and promote. In spring 2009, after GIC had provided a design, a series of interventions and planting regimes were instigated. Over the years the green roof has continued to develop into an excellent example of a dry meadow – right in the heart of the city of London. The roof is brimming with a variety of dry grassland species of wildflowers. Every year Eversheds add more wildflowers to help support both its resident Honey Bees but also the bumblebees and solitary bees that are resident in the City. The roof is included in the Open Garden Squares Weekend green roof tour that this year is on June 18th. One of the tour leaders is GIC’s Dusty Gedge, who is also the current President of the European Federation of Green roof and wall Associations. If you would like to see how a simple green roof can be transformed into something that is more natural and have greater benefit to biodiversity then join one of the tours. 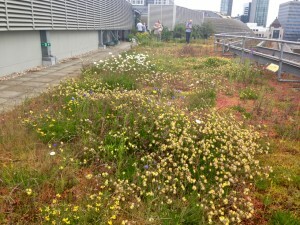 If you can’ t make it contact GIC as we often run our own tours of green roofs in London.